#TOGOHALF Cycling Challenge | Riding Group | Togoparts.com #TOGOHALF Challenge - Ride 557km in 8 weeks to become a Finisher! ALLOWS FOR IT ON ANY BIKE. #TOGOHALF is a new challenge designed specifically for beginner cyclists. comfort zones and introduce them to the wonders of the world of cycling. Cycle from 9th Sep 2017 0000hrs to 5th Nov 2017 2359hrs to clock in at least 557km to get the 2017 #TOGOHALF Finisher Jersey! Cyclists who clock 557km and complete the #TOGOHALF challenge will get this Finisher Jersey. 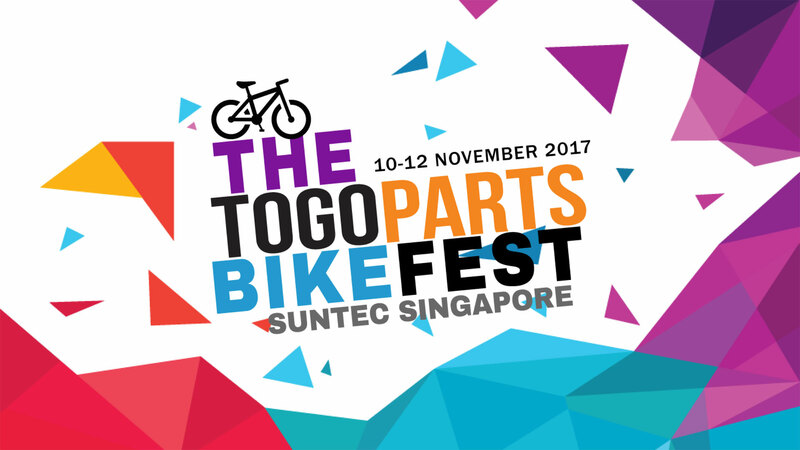 Collect your #TOGOHALF Finisher Jersey ​at the Togoparts Bike Fest on ​12 Nov 2017 @ Suntec Singapore! I have gained tremendous fitness (having lost close to 9 kilos since the beginning of TOGO517) and... have dropped a few sizes. This is the 2nd time I have joined a Togo Challenge and have motivated and pushed me in my daily riding habit. Although I am way out here in Ph... I feel just as if I am with all of the participants in SG. its been a great long journey. i love the way it has shaped my body and mind... the sense to achieve being a better of myself everyday, trying to get better than yesterday. I learnt a ton about fueling and recovery, both on and off the bike... Great motivator for relatively new cyclists looking to ride their first race/sportif. The event Togo1117 (referred herein as "Event") is organised by Togoparts.com (referred herein as the "Organiser"). All participants must comply with the Rules & Regulations below, which can also be found at www.togoparts.com/challenges/togo1117/index.php ("Official Event Page"). The Terms and Conditions are subject to change without notice, from time to time in our sole discretion. We will notify you of amendments to these terms and conditions by posting them to this website. Each ride must be logged on Strava (referred herein as the "App") and cannot be inputted manually. For more information regarding how to log activities on the App, please see Strava’s How It Works page (http://www.strava.com/how-it-works). If you successfully log 1117km between 9th Sep 2017 0000hrs to 5th Nov 2017 2359hrs, you will be eligible to collect the Finishers’ jersey, subject to Togoparts’ verification. Any form of entry and participation in the Event other than that described herein is void. 2. Activity should not be recorded on stationary machines. 3. Rest time should not be more than 50% of that activity. 4. Missing distances are not allowed to be added even if there was an error in the Strava GPS tracking system. 5. Multiple missing activities will not be included into the leaderboard if no appeals are sent to togo1117@togoparts.com within 48 hours. 6. 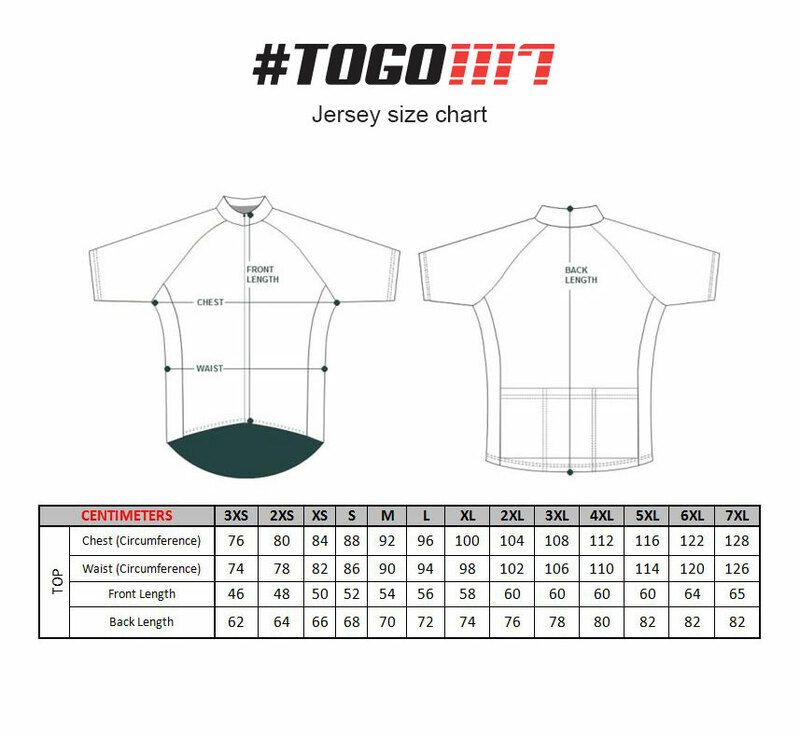 Participants who wish to obtain the Finisher’s Jersey upon completion but signed up for the #TOGO1117 Non-Jersey Pass will be required to make their intentions known to togo1117@togoparts.com latest by 30th Sep 2017 2359hrs. A separate fee of SGD 40 will be charged upon completion of the Event. 7. Participants are not allowed to join teams midway through the Event. Any form of Team requests should be sent to togo1117@togoparts.com latest by 23rd Sep 2017 2359hrs. No additional changes will be made after 23rd Sep 2017 2359hrs. Togoparts reserves the rights to remove your activity should we find that it is suspicious at our discretion. (c) Information sent by the Organiser about the Event via Email, SMS text message and Phone Call. 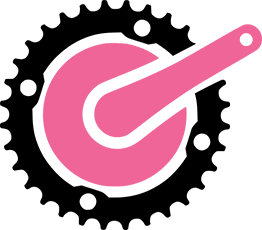 (d) Information sent by the Organiser on selected third parties', Event Business Partners' and Sponsors' products and services, such as updates on their latest promotions and their new products and services, via Email, SMS text message and Phone Call. (e) To administer any lucky draws in this Event, including to contact you for the administration of prizes in relation to the lucky draw(s). (6) any injury or damage to persons or property that may be caused, directly or indirectly, in whole or in part, from entrant's participation in the Event or receipt or use of any prize. If for any reason an entrant's entry is confirmed to have been erroneously deleted, lost or otherwise destroyed, corrupted or for any other reason not accepted as an entry into the Event, entrant's sole remedy is to enter again into the Event. Organiser may rescind any Event entry found to contain such errors or failures without liability at its sole discretion. 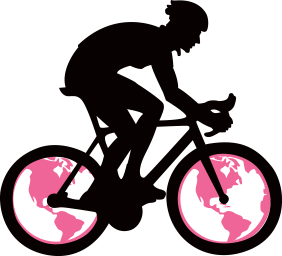 As a condition of participating in the Event, entrant agrees to release, indemnify and hold harmless Organiser and its respective affiliates, prize suppliers, and Organiser's business partners and all their affiliates, and each of their respective agents, representatives, officers, managers, directors, members, shareholders and employees (the "Released Parties") from and against any injuries, losses, damages, claims, actions and any liability of any kind resulting from or arising from any breach of representation made by entrant in connection with the Event, the exercise by Organiser or its designees of any of the right granted by entrant in these Official Rules and entrant's participation in the Event, including acceptance, possession, use, misuse or nonuse of the prize(s), or any injury or for damage to entrant's or any other person's computer or wireless device relating to or resulting from participation in the Event or downloading any materials in the Event, or inability to access any webApp or wireless service associated with this Event, or any combination thereof. Entrants agree that the laws of Singapore will govern any and all disputes. (3) any and all claims, judgments, and awards shall be limited to actual out-of-pocket costs incurred, but shall in no event include attorneys' fees. Organiser reserves the right to modify prize award procedures. If in Organiser's opinion, there is any suspected or actual evidence of electronic or non-electronic tampering with any portion of the Event, or if computer virus, bugs, unauthorized intervention, fraud, or technical difficulties or failures compromise or corrupt or affect the administration, integrity, security, fairness, or proper conduct of the Event, Organiser reserves the right, at its sole discretion, to disqualify any individual who tampers with the entry process, the logging of miles and/or to modify, suspend or terminate the Event. In the event that the Event is cancelled or postponed for any reason whatsoever, the ARV of the prizes will be awarded to the extent required by law. Entrants under the age of 18 as of 01/01/2017 will be required to seek permission and consent from either of his/her parents, or a legal guardian as a prerequisite for the participation in the Event. An indemnity form will be sent to the entrant upon registration. Entrant will be required to fill up the form and send it back to the Organiser. ANY ATTEMPT BY AN ENTRANT TO DELIBERATELY DAMAGE THE EVENT OR UNDERMINE THE LEGITIMATE OPERATION OF THE EVENT MAY BE IN VIOLATION OF CRIMINAL AND CIVIL LAWS AND SHOULD SUCH AN ATTEMPT BE MADE, THE ORGANISER RESERVES THE RIGHT TO SEEK CIVIL AND/OR CRIMINAL PROSECUTION AND DAMAGES (INCLUDING ATTORNEYS' FEES) FROM ANY SUCH ENTRANT TO THE FULLEST EXTENT OF THE LAW. Except where prohibited by law, by entering the Event, and as a condition of participating in this Event, entrant agrees to allow Organiser and/or Organiser's designee the perpetual right to use his/her name, biographical information, photos and/or likeness, statements and voice for advertising and promotional purposes for this and similar Events, worldwide, and in perpetuity, in any and all forms of media, now known or hereafter devised without additional compensation, review or approval rights, notification or permission, except where prohibited by law. This Event is governed by the laws of Singapore. The event togoHALF (referred herein as "Event") is organised by Togoparts.com (referred herein as the "Organiser"). All participants must comply with the Rules & Regulations below, which can also be found at www.togoparts.com/challenges/togo1117/index.php ("Official Event Page"). 5. Multiple missing activities will not be included into the leaderboard if no appeals are sent to togohalf@togoparts.com within 48 hours. 7. Participants are not allowed to join teams midway through the Event. Any form of Team requests should be sent to togohalf@togoparts.com latest by 23rd Sep 2017 2359hrs. No additional changes will be made after 23rd Sep 2017 2359hrs.